Police are investigating three robberies since New Year’s Day in southeast Lakeview and nearby Lincoln Park. Two of the muggings involved women being attacked from behind by multiple men. Most recently, a woman reported that a teenage boy grabbed her by the neck from behind and threw her to the ground during a robbery attempt at 7 p.m. Thursday in the 800 block of West Wrightwood. The woman screamed, prompting her attacker and up to four other young men to run away empty-handed. She said the primary offender was male, black, 16- to 17-years-old, about 5’10” tall, wearing a dark jacket and all dark clothing. The others were also male teens. All were last seen running northbound on Dayton, the victim said. Police believe Thursday’s incident may be related to a similar attack of a woman on Wednesday evening. 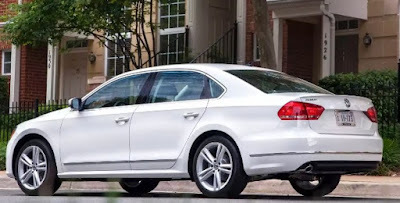 A Volkswagen Passat was used by Wednesday's muggers. In that case, a woman was walking when two men jumped her and took her purse near Drummond and Wrightwood around 6:30 p.m.
She told police that the robbers were men dressed in dark clothing who stood about 6-feet tall. One of them wore a gray skull cap and possibly a pink scarf. They were last seen running eastbound on Drummond and then northbound in the alley behind Orchard, the woman said. Police secured surveillance video that shows the suspects using a newer white Volkswagen Passat that has damage to a rear quarter panel and temporary tags. 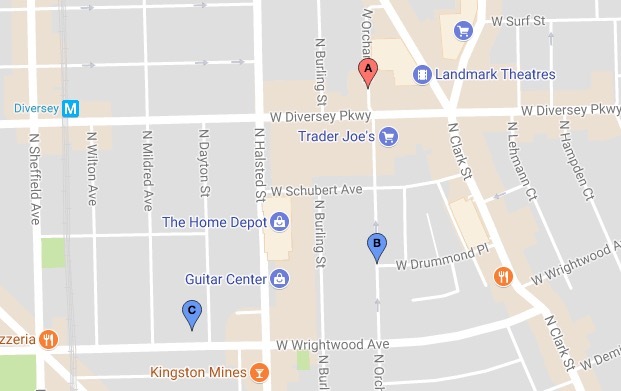 The first robbery in the latest wave of incidents came at 8 p.m. on New Year’s Day when a man was robbed at gunpoint by three offenders in the 2800 block of North Orchard, according to police. The offenders were described as three black men in a small, dark blue or black SUV such as a Kia Sportage or a Hyundai Tucson. They were last seen heading north on Orchard from Diversey.